The 100 year old CONVERSE brand continues to create staple footwear styles to this day. 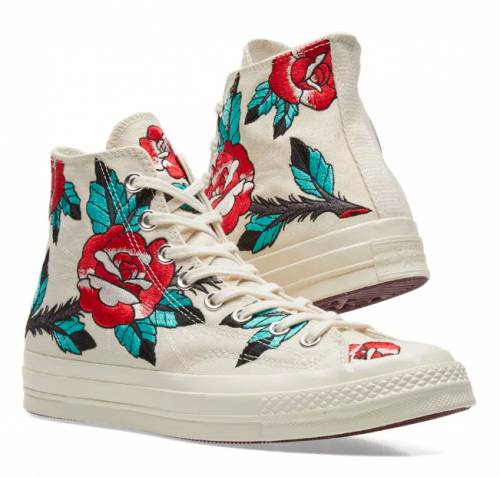 For dressing to impress, these Chuck Taylor 1970s HI QS’s are built with floral embroidered canvas uppers and sit atop this brands classic raised foxing, a comfy padded insole for comfort and a durable thick rubber outsole. This is a women’s shoe but we feel men could get away with them and you can get them in your life HERE.